– Yes, every participant will get a medal upon completion of the race. – Yes, the course is certified by the AIMS. – Yes, a unique Technical T-shirt (42k, 30k,10k,5+10k, relays) is included in the entry fee and you will get it in the race kit. Does the course have water stations? -There will be refreshment stations every 3-5 km along the course, making sure that you acquire the necessary amount of liquid during the race. The first and last stations will provide water while all other stations will offer banana, lemon, glucose, isodrink and water. All stations will be supplying water to wet your sponge. Can I deposit my personal belongings at the beginning of the race? -The time measurement is done by chip. Are relay teams allowed to participate? -Yes. There is a Marathon relay for 2 or 4. Can I pick up my race kit on the day of the race? – Yes you can pick it up on the spot. How long is the marathon course open? How do you move around in Budapest? The easiest and cheapest option is to use the public transport. Budapest has a good network of buses, trams and railways (incl. Subway). If you stay up to 3 days in Budapest we recommend that you buy a 3-day city ticket – it is good for all trams, buses, subway and railways within the Budapest city area. How do I buy a city ticket? -Look for the Customer Service Points of BKK Centre for Budapest Transport at Liszt Ferenc International Airport’s Terminal 2A (daily 8:00-22:00) and Terminal 2B (daily 9:00-21:00)! What is the date of the Budapest Marathon? – You can pay with your credit card (Visa, Eurocard, MasterCard), when you register on-line. This is the cheapest way. – A medical certificate isn’t necessary. Where may I see pictures of the race? 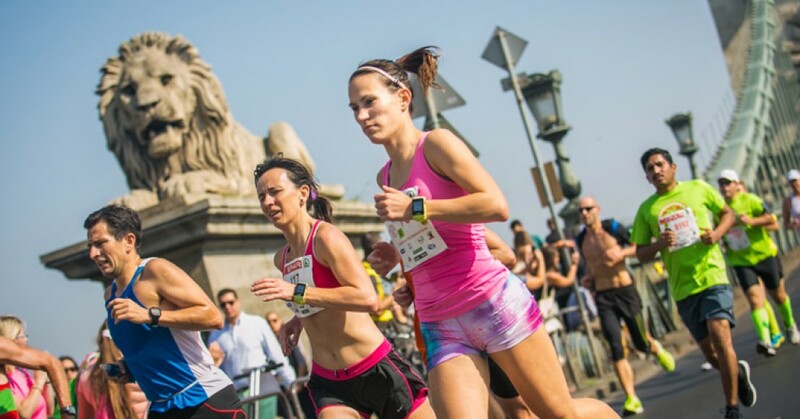 – You will find individual pictures of the race on the http://runinbudapest.com/ or on the few days after the race where you will be able to order them to have a souvenir of your exploit. My account password isn’t working. What should I do? – If you are unable to login, click on the forgotten password link, enter your Runners ID and we will send a new one to your e-mail address. If the password still doesn’t work, write to us to [email protected] with a request to explore the matter, and we’ll be happy to take a look. What is a Runner's ID? – Everybody registering for the first time on entry.budapestmarathon.com gets a registration number. All your entries will be registered under this number with your name. -You can use your profile to register yourself as well as someone else onto a race. After selecting a race, select “register on behalf of someone else”. Registration works in the same way as when you register yourself. If the person in question already has a Runners ID, all you need to do is enter his ID and follow the step-by-step instructions. If s/he doesn’t have a Runner’s ID, you can register him/her. – The procedure is identical as when registering yourself or registering on behalf of someone else (see above). Always register using your own profile even if you’re not running. As such you will get to see an overview of orders on your profile. The only person able to change the names of participants or order of relay runners is the person who created the order. What should I do if I can’t run? – You can find the results on http://runinbudapest.com/ after the race. -The official time refers to the times starting from hearing the gunshot. The real time is the time from crossing the start and finish lines. Split-times and real times are provided as extra information. How is the race course? – The route is fairly flat with some light ascending bridges in the heart of the city and along the river Danube. I’ve registered, paid and submitted all the required documents. Why I haven’t been assigned a bib number yet? – please check your SPAM e-mails first! If you don’t find it, please send an e-mail to [email protected], we will send you a new confirmation letter. By mistake I made the payment twice, what should I do? – You can choose between 2 options: we credit the entry fee to your account at our database and you can use it until the end of the following year, or you can send us your bank details and we can transfer you your money. Please write us to [email protected] indicating your choice!